When it comes to the very latest in 3D dental restoration, CEREC Dentistry is where it’s at. 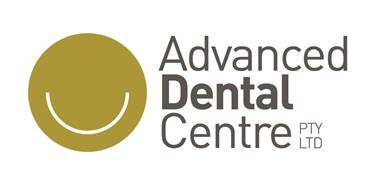 We’re delighted to offer this amazing new technology to our patients at Advanced Dental Centre. CEREC is short for “Ceramic Reconstruction”. While you lie back in the dentist’s chair, we use 3D photography and CAD/CAM technology (that’s ‘computer-aided design’ and ‘computer-aided manufacture’) to create custom-fitted fillings, crowns, onlays, inlays or veneers out of tooth-coloured ceramics. It all happens in a single sitting – unlike the multiple sittings of the past. That means the entire procedure is much more streamlined for both our dentists and (more importantly) for you. While many Adelaide and Australian dental restoration laboratories send their work overseas, CEREC allows us to complete the procedure on the premises. This means we have complete control of the materials, design and quality of the restoration. And importantly for patients prone to gagging, the use of 3D photography also eliminates the need to take an impression. After creating an optical impression with our state-of-the-art 3D camera, we send your exact specifications to our on-site milling machine to create your restoration. Within about 15 minutes, your all-ceramic, perfectly colour-matched restoration is ready for placement. We then fit, polish and bond the restoration – and you walk out the door with a restored tooth and a new smile. From our CEREC dental work to date, we believe the technology offers a higher-quality finish than many laboratory-fabricated restorations. Little wonder we believe CEREC is the way forward in dental restorations.